...it looks like a mess. 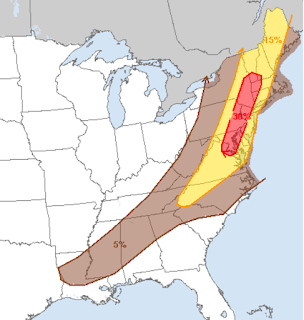 This is SPC's forecast of severe thunderstorms from 7am Monday to 7am Tuesday. Yellow (15%) is the significant threshold. The red area is double that. 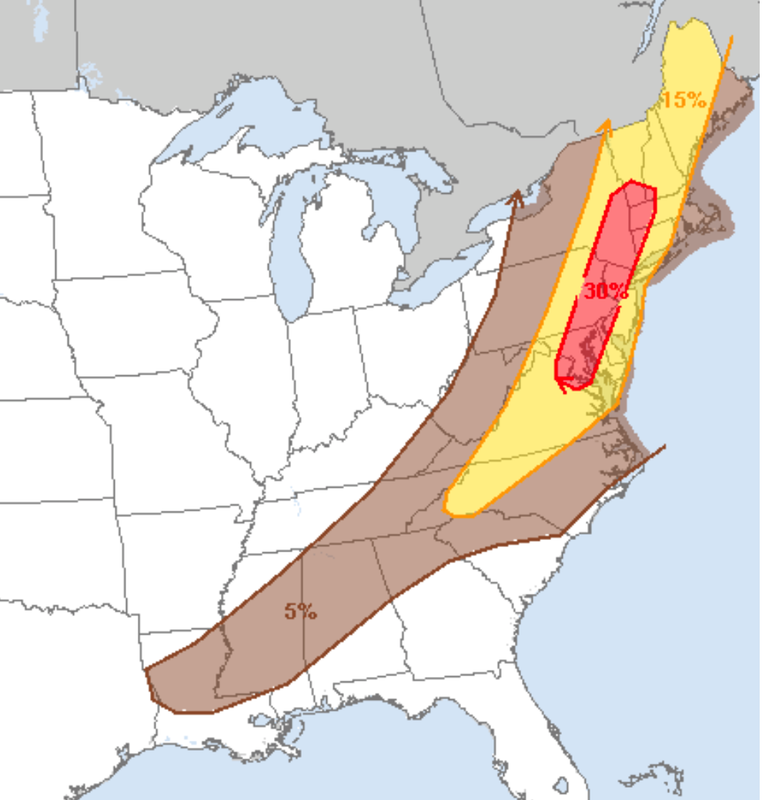 It is forecasting the chance of large hail and damaging thunderstorm winds. See if the airline will let you go tomorrow. Or, go Monday morning when the thunderstorms will be less widespread. If you are flying Monday afternoon or evening, be prepared for major delays.